Renovation of marble or natural stone. 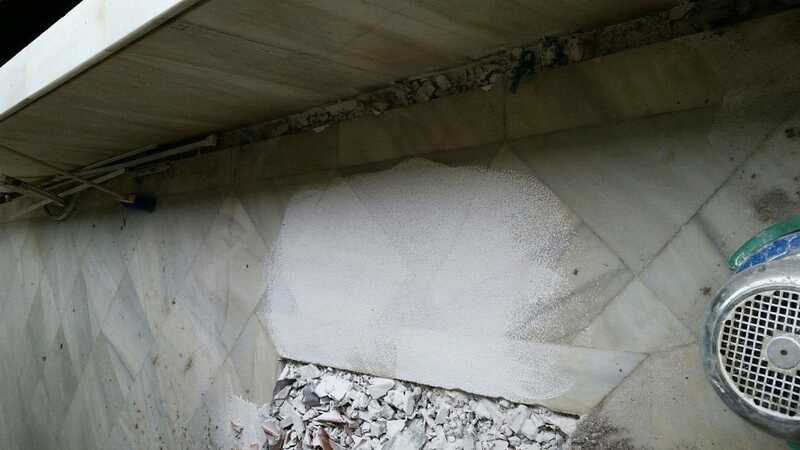 When we find a surface that has been altered or damaged to such an extent that its recovery or restoration is not possible, the renovation of marble and natural stone must come into play. The latter implies a change in aesthetics with respect to the original one, generally in terms of texture and finish. 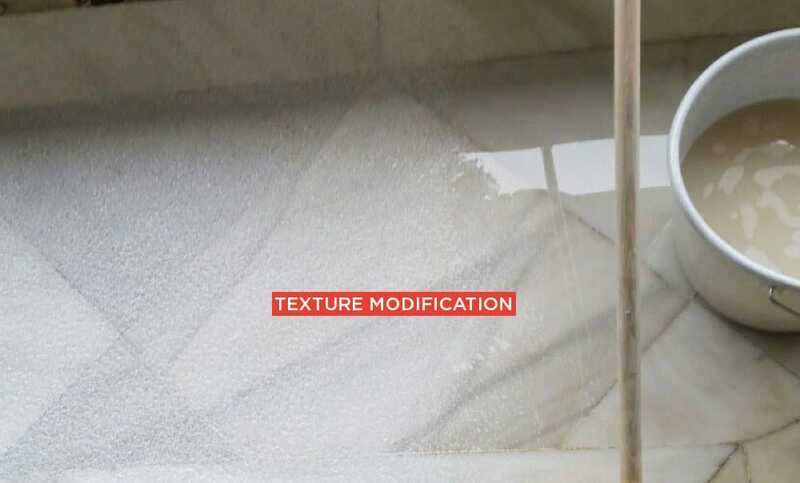 While our recovery service brings back the original appearance of marble or stoneand the restoration service allows for its revitalization, which differs slightly from its original appearance, marble renovation has to act on surfaces that are so deteriorated that, in many cases, and in order for the stone to look healthy and beautiful again, we have to act by modifying its texture or finish. To reach this goal, we count on the support provided by TINO R+D+I and the years of experience we have gained as leaders in the supply, installation, and maintenance of marble and natural stone. 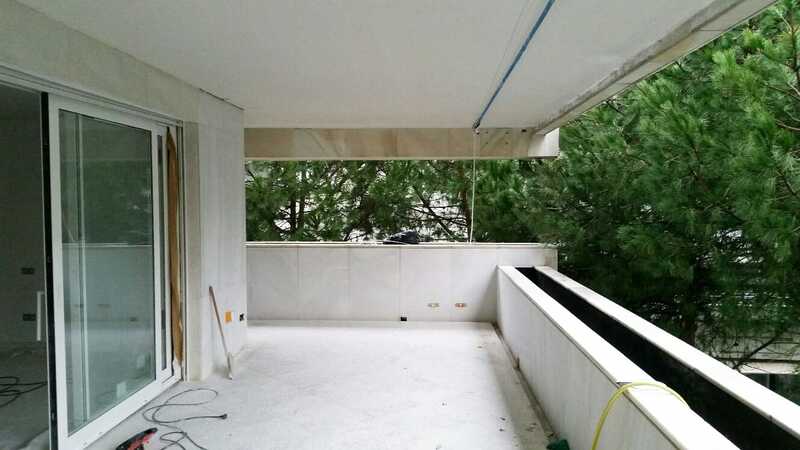 The surface area of this Macael White marble terrace has been affected by the outdoor pass of time and by recent renovations to the building. We knew how to eliminate the different agents and what exactly was the mineralogical nature of the stone to avoid its alteration during the process. 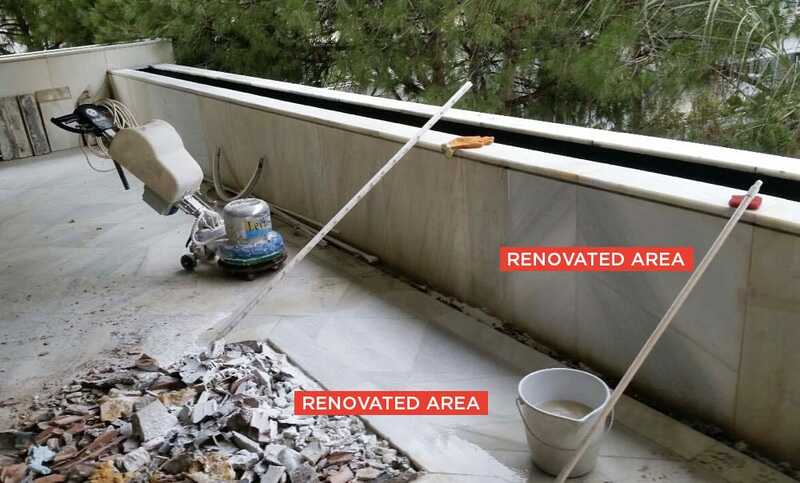 +1 Roughing and grouting of joints in situ to recover surface alterations at an aesthetic level and to give the surface a greater continuity in the finish, eliminating the possible eyebrows present between adjacent pieces. At the same time, the surface mass losses (chips) will be repaired by previously replacing the fractured or unrecoverable parts. +2 Fine bushhammering in situ using 720-point diamond rollers to achieve the desired finish. This process will be carried out manually in those areas where the mechanical system is not feasible (edges, stairs, trims, etc…). 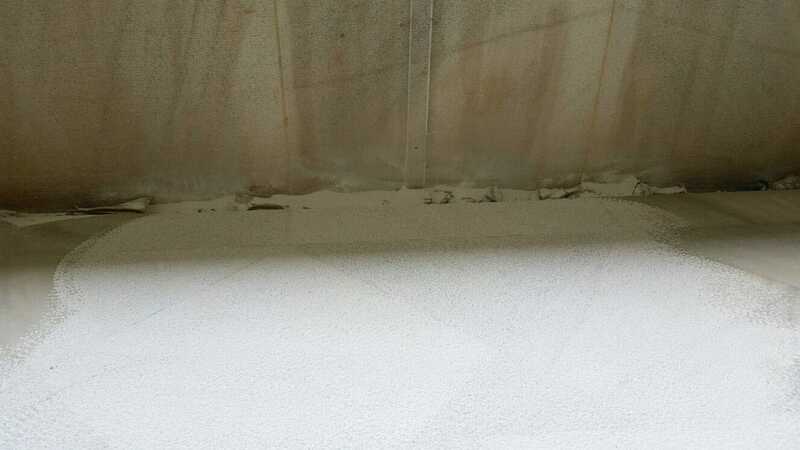 +3 Oil-Hydro-Proofing Treatment: given the use to which the flooring will be exposed, the application of an Oil-Hydro-Proofing Treatment is recommended, which will reduce the absorption of the stone and make it more resistant to staining. The product proposed is exclusive to TINO Natural Stone, it adapts to the needs of each surface and has been specifically developed for floorings exposed to high traffic. After the proposed sequence, further pathologies will be prevented and the pavement will be ready for use.